Islamabad (September 14, 2018): The candidates who submitted nomination papers for 37 constituencies by polls, which will be held on October 14, can withdraw till tomorrow, Saturday. According to Election Commission of Pakistan (ECP) the candidates will be allotted election symbols on September 16 as the numbers of voters in the respective constituencies have also been released. 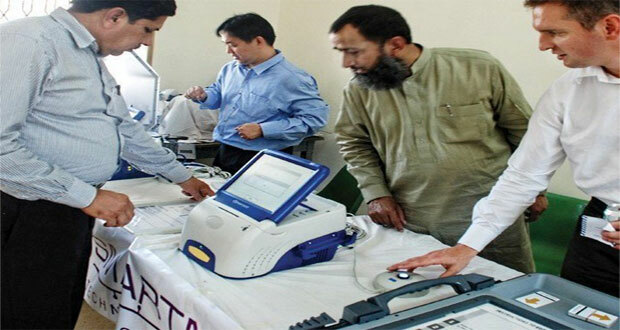 Earlier, the Election Commission of Pakistan (ECP) extended the registration deadline for overseas Pakistanis wishing to participate in the i-voting process for the upcoming by-elections. Overseas Pakistanis can now register till September 17. The previous deadline was Sep 15. The ECP for both national and provincial assembly seats on Oct 14. The Overseas Voting System (www.overseasvoting.gov.pk) has listed the constituencies for voting on the website’s homepage. Only expats who hold a National Identity Card for Overseas Pakistanis (Nicop) or Machine Readable Passport (MRP) can register to vote.